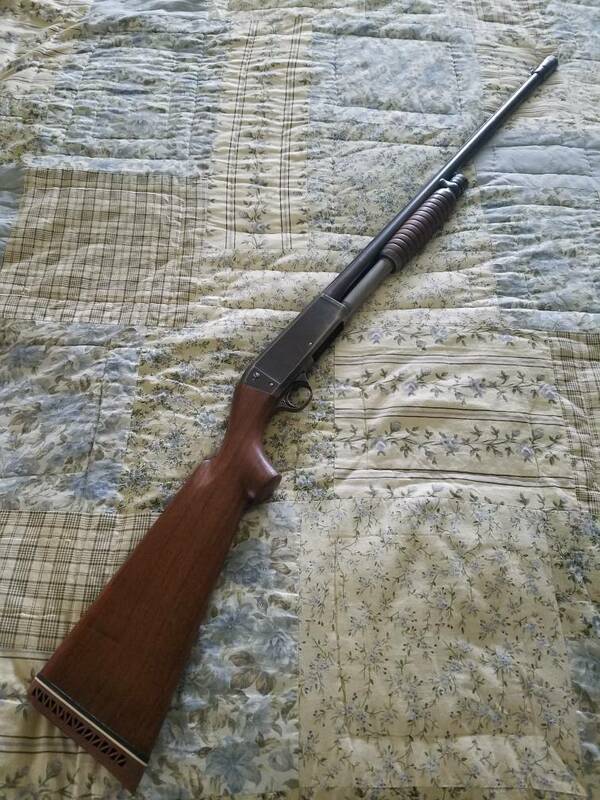 Just picked up a nice M17 Remington from 1925. 28inch full choked solid rib gun. Beautiful checkered wood, and it shoot right where I look. Too bad it is presently a single shot! I need a pivot screw for the cartridge stop. Anybody know of a source, Numritch is out. Also is the m37 Ithaca pivot screw of the correct thread and dia? The M17 is a #3 but I can’t tell if it’s 48 or 56 tpi. Try Lee's Parts Tue thru Fri 9to 5 CST. Redial is your friend( no voice mail, no web site). His # is 972 790 0773. Bob's Gun Shop and Jack First come to mind also. We have one that belonged to My father in law. One of Brownings best designs;it became the Ithaca 37 as you know. Thanks Texas, I will give them a call. I seem to be accumulating these things. Can’t see one without buying it, they are so nice handling! This one is a nice companion to my 16ga M37, seems I’m in a rut. Trying to set one up for my son’s 25th B day, he is drawn to them as well. Most I find have a cutoff butstock, and he is 6’1. Maybe they will have some wood as well. I had to dig it out. The buttstock was broken in the car accident that claimed my father in law's life; my future wife( then a teenager) took it to Ewell Cross and they used a full length replacement. With the pad it's almost too long( I'm 6'2") but we all shoot it well. Like lots of 1950's guys, he had a poly choke installed on it. It is the slickest pump gun( other than Ithaca) that I've ever used. I hope you get yours lined out!